With films like THE CROW (1994), DARK CITY (1998), I, ROBOT (2004), and his latest film GODS OF EGYPT (2016) to his credit, Alex Proyas has established himself as one of modern cinema's most exciting visionaries. In the first part of our three-part interview, I spoke with Alex about what films affected him the most growing up, how he began making films and music videos, his under-seen debut SPIRITS OF THE AIR, GREMLINS OF THE CLOUDS (1989), moving to L.A., and the genesis and making of the cult classic THE CROW. Growing up, which films affected you the most? I loved many kinds of films growing up. My Dad was a huge filmgoer and dragged me along at an early age to all sorts of wonderful films. 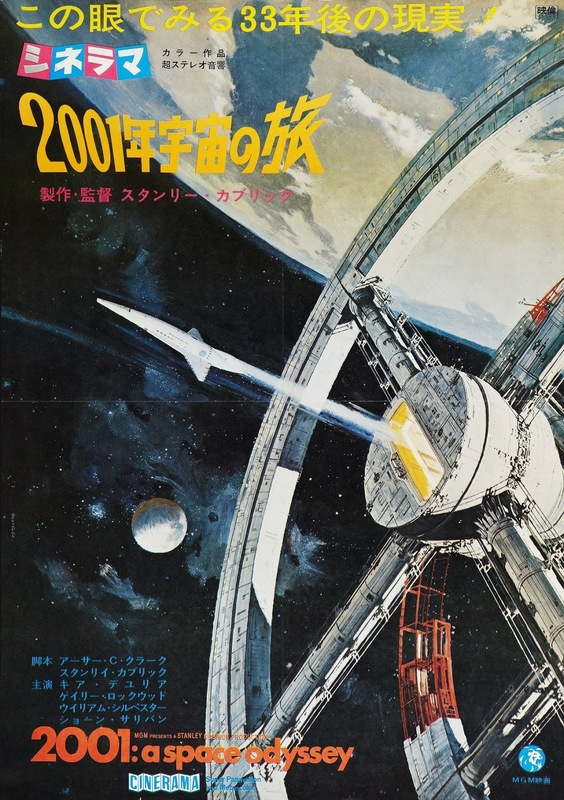 I think the one film that had the biggest impact on me at an early age was 2001: A SPACE ODYSSEY (1968). It was just such an extraordinary, original visual feast and was so different to anything else I had ever seen. That was the one that made me think I'd like to be making films, and was the single most inspiring film for me. I don't think I saw the film when it was on its first release because I would have been too young. I think my Dad took me along to see it when it was re-released in the early 70s. Have there been any particular films that you have made where you have gone back to 2001? I don't think I ever went back to 2001 on one of my movies as a benchmark or anything, but Kubrick is very much an inspiration for me in general. I don't think I've ever been that arrogant about my filmmaking! I've borrowed from all sorts of films, but not so much from that one. When did you start giving serious thought to becoming a filmmaker? I bugged my parents to get me a Super 8 camera for my tenth birthday and started making movies, and pretty much decided there and then that this was what I wanted to do. I was pretty lucky in that respect. My friends didn't really know what to do with themselves when they grew up. I spent all my time bugging my friends to be in my movies. My friends and parents and relatives all got a bit tired of being asked to be in my movies, so I quickly moved into making animated movies – stop-motion and animation. I think I was a difficult director to work with at an early age! They were pleased when I started animating bits of paper and plasticene and clay. What were your experiences like of making music videos in Australia for bands like INXS and Crowded House? The interesting thing about making music videos when I was making them was that nobody knew what they were supposed to do or what they were meant to be exactly. The record companies thought they were just there to promote the music and the band, and they took advanatge of MTV and other sources of what they saw as free advertising. The only notes I ever got from record companies were ''Make sure you get shots of the drummer smiling. '' Making videos was pretty much an excuse to do anything cinematically. All through my era of music videos and TV commercials, all I ever wanted to do was make movies, so I used them as a form of experimentation and tried different styles and did all kinds of weird and wonderful stuff. I usually focussed on narrative and telling a story of some sort. Generally speaking, the bands were great to work with. Either they wanted to be involved in the process because they found it very creative and were frustrated filmmakers themselves, or they wanted nothing to do with the medium. To be honest, a lot of the ones who had been around a little bit longer didn't find it all that interesting. They just wanted to make music basically, so they would let us do what we wanted too. It was a wonderful time. 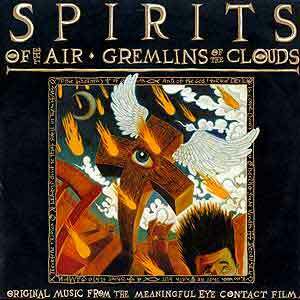 How did your first film, SPIRITS OF THE AIR, GREMLINS OF THE CLOUDS, come about? That came about in a weird way because it was written as a 45-minute film. We thought we might be able to get some kind of government grant to make it. While I was writing it, I was in the thick of making the videos with various bands, and one of them was INXS. The band's management read the script and thought we were making a feature film. I had to point out that a film script was usually longer than 45 pages. They encouraged me to turn the project into a feature because they wanted to invest in a film and have Michael Hutchence act in it. The film was an exercise in simplicity really. We had a simple narrative and we shot it in one location. We only had a few actors and we tried to stretch the budget as far as we could. This was in the days before digital video cameras so we were shooting on 16mm film, which was the single most expensive thing on the budget. We always had to try and make sure we got it on the first take. It was very much inspired by Sergio Leone Westerns. I designed it as a bit of a post-Apocalyptic Western. Why didn't INXS get involved in the end? We were working with them right at the point when they were taking off internationally, and I think their mangement soon lost interest in Michael being in this little Aussie movie. What do you feel you learned from the experience of making the film? You learn something from everything you do, but every movie is different. I don't think you can ever say ''Oh, I won't do this or that again'', because the next one is always so different anyway, especially now with technology always changing so fast. Nowadays, modern filmmakers get to make much fewer movies than they did before. I'm lucky if I manage a new film every two or three years. I did learn on SPIRITS OF THE AIR that it was possible to make a movie on the smell of an oily rag in terms of the budget. I think the entire crew was ten people and three actors, and we shot it in four weeks. We didn't know how we were going to get things done or how we were going to maintain a quality of imagery or production value on such a low budget, but I think we managed to create a pretty polished piece. That gave me a great deal of confidence going forward that I could always make something work no matter the budget. Do you take great pleasure in the process of creating new worlds in your films? I've always been drawn to creating new worlds but I couldn't tell you why. I was a great fan of science fiction and fantasy in literature, and I used to read a lot of that stuff when I was younger. As I would read, I would be imagining the movie, and to me the ultimate creative thrill of making a film is not so much capturing the real world but creating a world that only exists in my head. It's really exciting and satisfying. Hopefully you can populate it with people with real emotions as well, because that's important. Many sci-fi films look only to the future but your films always incorporate elements from the past, like in DARK CITY. DARK CITY is quite specific in that respect because it is dealing with memory narratively, but I also love German Expressionism and film noir and the trenchcoats and the cigarette smoking and all that stuff. I grew up watching noir films from the 40s and 50s on TV, so I think that's why that kind of imagery crops up from time to time in my films. When you came to America to start making films, how did it feel to be in the country? It was the mid-80s and I had just done a video for Crowded House ('Don't Dream It's Over') that had done very well in the States. I felt it was a good time to go over there for the first time. I was instantly struck by how surreal a culture it is, and by how much like the movies it was. I was expecting the movies to be more of a heightened reality or a fantasy version of American culture, but the movies were actually quite close to representing what was really there, even to the point of how people behaved to each other. I found it amusing in a way to be an outsider and see how much it was like the movies in reality. I had quite a good run of doing music videos and commercials in Los Angeles before I got an agent and started making movies, and part of the reason I think I was succesful was that I had an outsider's viewpoint. Hollywood was about that from Day 1, with a lot of the directors and cameramen who created German Expressionism ending up in the States making noir films. I felt like I was slotting into that continuity of outsiders coming to Hollywood and re-interpreting American culture through their own eyes. Everybody was very complimentary about the imagery I was creating for the music videos saying things like ''Wow, we've never seen the desert outside of L.A. shot that way. '' To me, it felt like ''Well, look at it. It's a pretty amazing place. It doesn't take a genius to point a lens at it and capture some interesting imagery'', but of course I was underestimating my ability as an outsider to look at things in a different way. Did film offers quickly start coming your way once you arrived in the U.S.? Not really. It took some time. I came over with the editor and cameraman that I had been working on the videos with. My girlfriend and I were living in this horrible rented Oakwood apartment and we literally got down to our last dollar. We got to the point where if we didn't find work we'd have to fly home because we couldn't afford the ticket back. Fortunately I managed to get a music video just in the nick of time and after that things started to go pretty well. In terms of moving into features, I was backwards and forwards from London to L.A. to Sydney making music videos and commercials, and Hollywood became interested in working with people from those fields, particularly from Propaganda Films, the company in L.A. that I was working through, where the likes of David Fincher and Michael Bay all came from. Being told ''We'd love to represent you'' was very unique to me at the time. How did THE CROW come your way? I'd been offered a bunch of movies, and most of them were forgettable. Many of them did get made. The first movie I was offered was one of the NIGHTMARE ON ELM STREET movies. I've never wanted to make sequels because the fun for me is in originating all this stuff. I was hanging out waiting for something to come along. 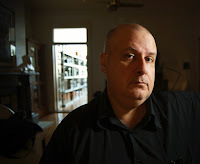 I had already written DARK CITY and that was the project I was hoping to get to make, but nobody was going to give money to someone they considered a first-time director to make something that different. 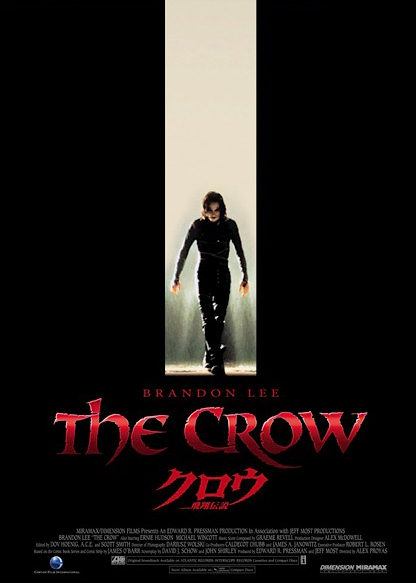 THE CROW came along, and it was a not very good script based on the comic book. I read the script and didn't really care for it. I found it all confused and convoluted. But then I looked at the comic and I thought it was really cool. I was really inspired by imagery in the comic book, and by the story, which I thought was clear, clean and simple. I felt that as a filmmaker I could create this world. I spoke to the producer, Ed Pressman, and told him that I didn't like the script so much, but that if I could make it more like the comic book, I'd be really excited to do it. Ed Pressman agreed to that, and we managed to find a writer named David Schow. He and I worked together on the script for a very long period of time until I felt confident we could make a great movie with it. In what ways did you feel personally connected to the material? I'm very emotionally connected to stories of lost loves or loved ones. I lost my mother in my teens. I was really touched by this idea of a guy being separated from his love through death and has to somehow reunite by crossing that bridge. It's a theme that I keep coming back to in different various forms in my work. Why did you originally want to make the film in black and white? Obviously I was aware of how uncommercial a concept that was. I suggested it somewhat facetiously because I know nobody would let me do that. I would have loved to have made it in black and white though. The comic book is essentially black and white. The graphics of the comic book inspired a German Expressionist style. I've dabbled in black and white in many music videos and commercials and I've shot short films in that medium too because I love it so much. Nobody has let me make a feature in black and white yet but I'm still working on it! Maybe one day. How involved did you get in the selections of the songs for the soundtrack? I decided I wanted the songs to be part of the narrative of the movie. I didn't just want a couple of tracks playing over the end credits. I have facetiously desribed the movie as a musical on occasion, and it kind of is. The music often drives the story. I took a very active role in picking the bands and the songs they did. Often they would re-record a song and there are a few covers in there. In the case of The Cure and Nine Inch Nails, I really wanted both of those bands to do the movie and worked hard to convince them. For example, I met with Trent Reznor and showed him artwork of the movie that we had been generating, and he got really excited. I really wanted him to cover Joy Division's 'Love Will Tear Us Apart' but he chose their song 'Dead Souls' instead. I think he felt 'Love Will Tear Us Apart' was too iconic to cover, as perfect as it was for THE CROW! 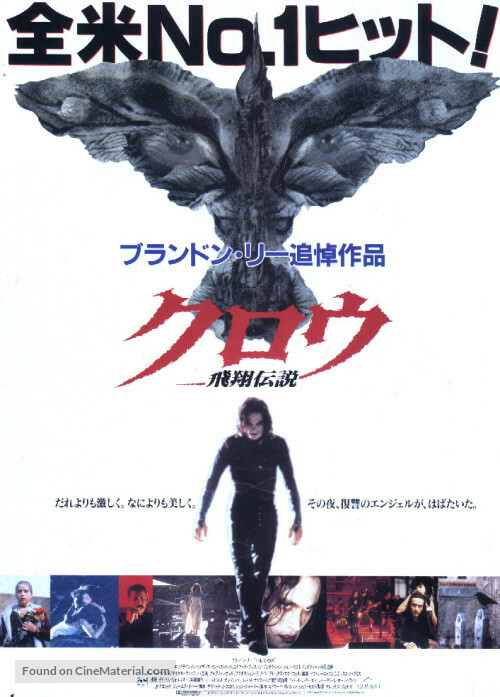 I was very pleased Nine Inch Nails recorded music for the movie, and that it was a Joy Division song, because I think Joy Division were an important component to the movie. 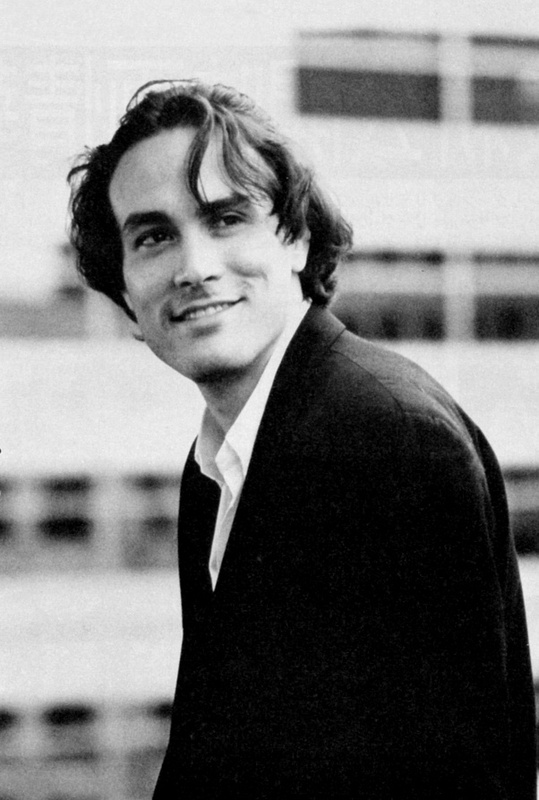 What was your experience like of working with Brandon Lee? Brandon was an incredible find for the film. He came out of left field when we were casting the movie. There were all sorts of people being considered, then someone said ''Did you know Bruce Lee's son is an actor?'' I didn't know that at the time. I hadn't seen any of his movies. I chased them up and was very impressed. When I met him I just thought he was a really incredible person, and an amazingly charismatic guy. I was a huge Bruce Lee fan from way back, and the idea of working with his son was so exciting. Brandon was involved with every aspect of the making of the movie. We hooked up at a very early point in the process and became close friends. He contributed script ideas and we would watch endless amounts of Hong Kong action movies together, because the action scenes in the movie were inspired by them. Particularly by John Woo's work. Brandon introduced me to a whole lot of stuff that I wasn't aware of from that world of filmmaking. It was a great creative marriage, more so than any other actor-director relationship I have had. I felt he was a storyteller along with myself, collaborating on this movie. When you were cutting the film after Brandon's tragic accident, did the emotional content of the film get changed at all? Not really. It was kind of that way from the start. Honestly, I have no idea what that movie is. I haven't seen it since we finished it. I finished the film because Brandon's family wanted me to. It was literally the only reason I went back to the film several months after the accident. Throughout the whole process, I was pretty much in a haze. I had lost a really good friend. That to me was the most difficult part of the process. All I could do was to stick to the plan that was conceived originally. I was in no fit state to redesign the wheel. I can't actually say much about the film aesthetically in any way because I just don't remember it very well. I've pretty much put it from my mind because of the pain from the experience that happened.